Czech, Mirosław. n.d. Belarus: Even Allies Start to Fear Moscow’s Ambitions. 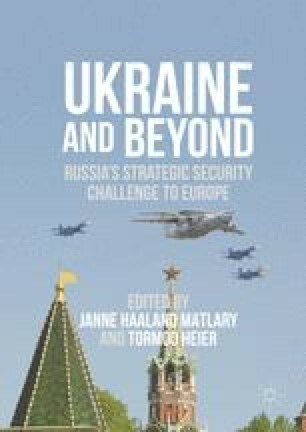 http://www.worldcrunch.com/ukraine-winter/belarus-even-allies-start-to-fear-moscow-039-s-ambitions/eurasian-customs-union-angela-merkel-joe-biden-alexander-lukashenko-eu-donbas/c20s16857/. Deutsche Welle. n.d. Wie Putin Die “Rückkehr Der Krim” Befahl. http://www.dw.com/de/wie-putin-die-r%C3%BCckkehr-der-krim-befahl/a-18303506. Deutsche Welle. n.d. Lukashenko Rebuffs Russian Air Base Plans for Belarus. http://www.dw.com/en/lukashenko-rebuffs-russian-air-base-plans-for-belarus/a-18765118. Die Welt. n.d. Kleine Grüne Männchen, Ein Hybridkrieg Und Die Probleme Der Nato. Die Welt. http://www.welt.de/newsticker/dpa_nt/infoline_nt/thema_nt/article129465219/Kleine-gruene-Maennchen-ein-Hybridkrieg-und-die-Probleme-der-Nato.html. Grau, Lester W. Changing Russian Urban Tactics: The Aftermath of the Battle forGrozny, Fort Leavenworth, KS: Foreign Military Studies Office Publications, downloaded from call.army.mil/call/fmso/fmsopubs/issues/grozny.htm. Originally published as “Russian Urban Tactics: Lessons from the Battle for Grozny,” INSS Strategic Forum, No. 38, July 1995. Interfax. n.d. Ukraine to Build Fortifications Along Frontline in East. http://rbth.com/news/2015/03/12/ukraine_to_build_fortifications_along_frontline_in_east_44464.html. jr/cmk. n.d. Belarusian Demonstrators Protest Russian Air Base. http://www.dw.com/en/belarusian-demonstrators-protest-russian-air-base/a-18760996. KyivPost. n.d.. British Instructors Teach Ukrainian Military to Build Fortifications Conduct Urban Operations. http://www.kyivpost.com/content/ukraine/british-instructors-teach-ukrainian-military-to-build-fortifications-conduct-urban-operations-395519.html. Menkiszak, Marek, Rafał Sadowski, and Piotr Żochowski. n.d. The Russian Military Intervention in Eastern Ukraine. http://www.osw.waw.pl/en/publikacje/analyses/2014-09-03/russian-military-intervention-eastern-ukraine. Moscowtimes. n.d. Russia to Open Military Base in Belarus. http://www.themoscowtimes.com/news/article/russia-to-open-military-base-in-belarus/482355.html. NATO. n.d. Parliamentary Debates Highlight Hybrid Warfare Threat. http://www.nato-pa.int/default.asp?SHORTCUT=3495. NATO. n.d. Troop Contributions. http://www.nato.int/cps/en/natohq/topics_50316.htm. Olearchyk, Roman, and Neil Buckley. n.d. Ukraine’s Security Chief Accuses Russia of Waging ‘Hybrid War’. Financial Times. http://www.ft.com/cms/s/0/789b7110-e67b-11e3-9a20-00144feabdc0.html#axzz3tYk2YgYI. Pravdareport. n.d. Russia to Open Air Base in Belarus. http://www.pravdareport.com/news/world/11-08-2014/128255-russia_belarus-0/. Russia Today. n.d. We Did What We Had to Do: Putin Opens up on Crimea Reunification Plan. https://www.rt.com/news/239197-putin-crimea-referendum-decision/. Varenitsa, Inna. n.d. Ukraine Erects Defenses, Critics Fear Expensive Failure. http://www.militarytimes.com/story/military/2015/05/06/ukraine-erects-defenses-critics-fear-expensive-failure/70878600/.